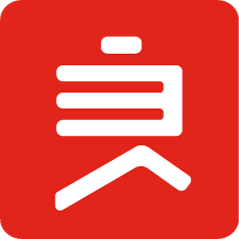 Jan 11, 2019, China Securities Regulatory Commission released the IPO prospectus of BESTORE (良品铺子), which was submitted by the company on Dec 28, 2018 for the second time. In the prospectuses, companies need to declare potential risks in the future. BESTORE, one of the most popular China snack brand in recent years, gives the company’s statement which could not only reflect the risks of the company itself, but also the risks of the industry in China. The author picks out several critical risks to help investors and entrepreneurs understand this industry much better. Consumers’ needs: For the industry risks, at the very beginning, BESTORE mentioned about the needs of consumers. The snack industry is directly connected with the end consumers, the purchasing power and preferences of consumers will have quite a direct impact on the industry. Snack food companies need to be sensitive to the changes in consumers’ needs and quickly provide products and services that could satisfy them. If one company cannot timely formulate a response marketing and production strategy for the changing needs of the market, the company's sales will be adversely affected. Prices of raw and semi-finished materials: The main raw materials of BESTORE’s snacks include nuts, fruits, meat, aquatic products, grains, and other agricultural products. These kinds of products are susceptible to natural conditions, market demands, etc., and their prices are relatively unstable. If the price of raw materials fluctuate greatly in the future and the company cannot eliminate the adverse effects caused by these fluctuations in a timely manner, it will have an adverse impact on the company's profitability and financial status. Food safety and quality: The quality of the company's products is still inevitably limited by the supply chain of raw materials for agricultural products, the production capacity of suppliers, the storage conditions of transportation processes and the climatic environment. It is impossible to completely avoid the risk of product quality problems caused by unforeseen factors. Offline retail stores: During the reporting period, BESTORE’s revenue from offline retail stores contributed a lot to the total revenue, accounting for 73.08%, 65.89%, 57.28% and 54.34% of the company's main business income, respectively from 2015 to 2018 H1. Thus the opening of new stores would have important impacts on the company's continued development. Brand being counterfeited: With the good development of the snack food market, counterfeit products of well-known brands has become a way for some unscrupulous manufacturers to participate in the market competition. If the company's products are heavily counterfeited in the future, it will affect the company's brand image and consumers' willingness to consume the company's products. Large inventory: At the end of each reporting period, the book value of the company's inventories was CNY 475.8 million, CNY 617.2 million, CNY 591.5 million and CNY 421.1 million, respectively from 2015 to 2018 H1, which are several times the company’s profits. In order to ensure the normal operation of the daily operations, the snack company must maintain a high level of inventory levels, and the size of the inventory will increase future together with the number of stores and the expansion of the business. If some of the inventory cannot be sold due to changes in market demand or industry policies, or the sales price declines, it will adversely affect the company's financial status and operating results. Above all, the common risks for snack food industries are listed clearly, one possible solution for most of the risks above, in the author’s opinion, should be the “new retail”, a popular concept in China these years, with the core idea of “Consumer-focused retail business”. In this kind of business, digitalization, big data, Artificial Intelligence, IoT and flexible supply chain management system are all new techs could do a big favor.